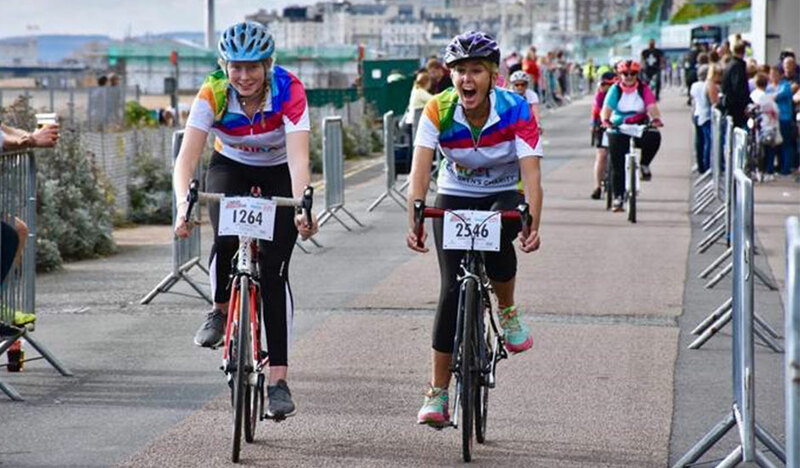 Join Team Rainbow Trust and tackle this 50km cycle challenge. After a successful first year, BM Ride is back for one of the biggest weekends in Brighton and Hove, with a fantastic atmosphere and huge crowd support, it’s a weekend not to be missed! Take this rare opportunity to cycle along the closed roads of Brighton city centre, you’ll also pedal along the seafront and conquer a few challenging hills over a 50km distance. Whether you’re an experienced cyclist looking for a group ride, a family looking for a cycling challenge or someone looking to conquer a completely new event, the BM Ride will have something for you! Fundraising materials to help hit your target. If you have any further questions please complete the enquiry form below or give the Sports Team a call 01372 220031.